With people's deep understanding of the health functions of miscellaneous grains and further attention to health, miscellaneous grains have become the nutritional upstart of the modern era. China's grain processing technology started late, the product technology content and added value are low, and the processing equipment of production enterprises is also very simple. At present, the coarse grain flour has a small share in the flour market, and the overall benefit is not high. Moreover, the production of miscellaneous grains and flour often has problems such as poor purity, poor powder quality, coarse particles, low yield, and short shelf life. In the initial processing and production process of miscellaneous grain flour equipment, every step of the processing of impurities, grain shelling, kernel crushing and flour sterilization is an important guarantee for flour quality and shelf life. For the processing and processing of flour, in the process of seed selection, cultivation, harvesting, threshing, stacking, drying, transportation and storage, it is inevitable that various impurities will be mixed. Impurities in the grain, if not removed, will cause great harm to the processing of the grain flour, and mixing into the flour will reduce the purity of the flour. (1) Wind selection method The wind selection mainly removes impurities according to the difference in the aerodynamic characteristics of the grains and impurities. Commonly used air separation equipments include the TFDZ vertical suction separator and the TFXH type circulating suction separator. (2) Screening method When there is a difference in the particle size of the material, the screening method can be used to separate the grain from the impurities. Typical equipment includes cylinder cleaning screens, vibrating screens and flat rotary screens. Wheat grains are generally screened in 2 to 3 channels to remove impurities such as clods and stones, which can meet the cleaning requirements. (3) Selection method According to the different length of the grain, the processed grain is separated from other grains by means of a bag with a certain depth of pockets. The main equipments are a disc selection machine and a drum selection machine. Oat granules are relatively long, similar to japonica rice. In the process of oat processing, other selected wheat and clods, stone particles and other impurities are usually separated. Depending on the shape of the grain, the form of motion and the frictional force when moving on the inclined plane are different, and the movement speed and the trajectory are separated. The common equipment has a spiral selection machine. Buckwheat is a triangular or ovate triangle, and this separation method is suitable for use in the cleaning process. Sorting is mainly used to remove impurities such as shoulder stones. At present, there are mainly suction-type specific gravity stone removing machines, gravity-grading stone-cutting machines and self-circulating wind stone removing machines. In the industrial production of modern flour, the raw material to the stone is generally indispensable. The magnetic separation method is aimed at the growth environment and management of wheat grains. The grain has many mechanical devices from harvesting to processing. Ferromagnetic metal impurities such as nails, screws and washers may be mixed in. To use magnetic separation. (5) Color selection method Using the principle of photoelectricity, the color sorting machine can detect and separate particles with abnormal color or infected pests and other impurities in the material. In recent years, due to the demand of the grain processing market, the grain color sorting machine has been specially developed. The 6SXZ color sorting machine first appeared. 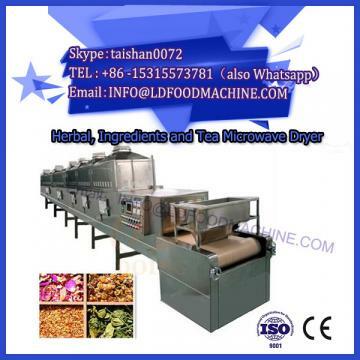 With the improvement of technology, other types of grain color sorting machines have also been listed. If the parameters of the shelling process are easy to grasp and control, the uniformity of the particles should be considered, so the grain classification is carried out before the shelling. When designing the wheat multi-grain grading process, select the appropriate grading equipment according to the different yields. When the output is large, the high square sieve in the wheat milling equipment is used for classification, which can ensure the flow rate of the sieve into the sieve. The different particle sizes of 4 to 5 can be separated at one time, simplifying the classification process of buckwheat or oats; In the hour, a flat rotary screen, a high-efficiency vibrating screen, a white rice grading screen, etc. can be selected as the grading equipment. 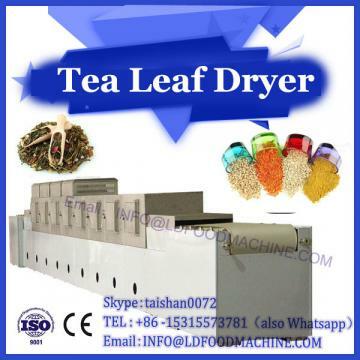 Such equipment can only be divided into two to three kinds of particle size categories in one classification, and the number of buckwheat or oats can be determined in order to ensure small yield. It can be graded many times, making the classification process more complicated, but the classification effect is good. Today, the mill has an improved design and a mechanized, electrified feed automation system. Some also speed up the rotation speed of the grinding roller, improve the transmission and disassembly method of the grinding roller, and improve the air passage of the grinding cavity, so that no air blowing phenomenon occurs. Efficient high-square screens are commonly used in the screening process, new screen frame materials are used, screens are improved, screen area is increased, speed is increased, and eccentricity is increased. (1) Hammer type pulverizer The hammer type pulverizer is a machine that pulverizes materials by applying a high-speed rotating hammer to the material, and has the characteristics of simple structure, convenient operation and high production efficiency. Roll mill is a pulverizing equipment widely used in the flour industry. The jet mill can superfine pulverize heat sensitive materials and achieve aseptic operation. (2) Superfine pulverization Ultrafine pulverization is a new type of milling technology developed in recent years. Mechanical or hydrodynamic methods are used to overcome the internal cohesive force of the solid and break it, so that the material particles above 3 mm are pulverized to 10 μm~25 μm. The size of the flour granules has a certain influence on the quality of the whole flour product. For example, if the granules are large, the flour quality is rough and the product taste is not good. The use of ultrafine pulverization technology can overcome this drawback. The ultrafine pulverizing equipment utilizes the turbulence generated by the high-speed rotation of the rotor to add materials to the ultra-high-speed airflow. Several small chambers with multi-pole staggered arrangement on the rotor can generate variable-speed eddy currents, thereby forming high-frequency oscillation and moving the material. And the speed instantaneously produces a drastic change, which promotes the rapid friction and impact between the material particles, and is cracked into fine powder after repeated collisions. The existing ultrafine grinding production equipment on the market mainly includes a grinding mill, a mechanical impact mill and a jet mill. Ultra-fine pulverization technology, new technology and equipment, combined with other milling equipment, have been successfully applied to the industrial production of buckwheat flour, pushing the buckwheat industry to the forefront of high-tech.